While photographing the volleyball game of my daughter (yes you can photograph sports with a manual RF! 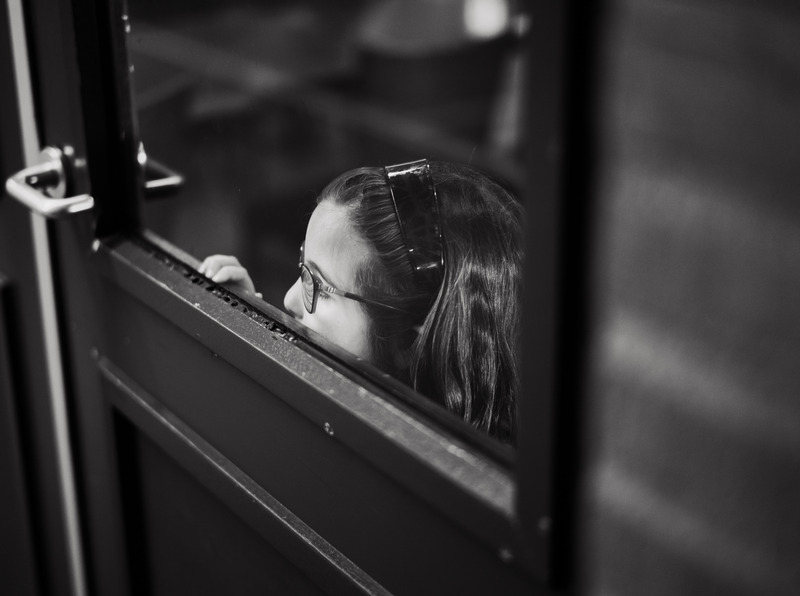 ), I caught this little girl at the game, peeking through the glass . Her curiosity and facial expression moved me, so I quickly shot this picture. At an aperture of F 1.4, shooting these kind of pictures makes a good exercise in manual focusing as well.